For more information about problems with UV Light products, please click here. This is what sets Altapure apart from all other “no touch” high-level disinfection / surface decontamination systems that are currently available. Altapure believes that “scientific facts” and not glossy marketing brochures should be the driver for any purchasing decisions. The health of our friends and loved ones are counting on it. Since 2004, Altapure continues to work to develop the best high-level disinfection / surface decontamination system in the global market place. Altapure, LLC has worked jointly with Harris Corporation (NYSE: HRS), formerly ITT Exelis (NYSE: XLS), a top-tier global aerospace, defense, and information solutions company, to develop a new patented technology, to deploy an extremely thick cloud of gas-like sub-micron aerosol, that treats, high-level disinfects, and decontaminates the surfaces in targeted room(s) and space(s). Rapid - Patient room entry (Less than 45 minutes - common patient room). Immediate occupation of room after treatment cycle ends. No Shadowing on ANY exposed surfaces. 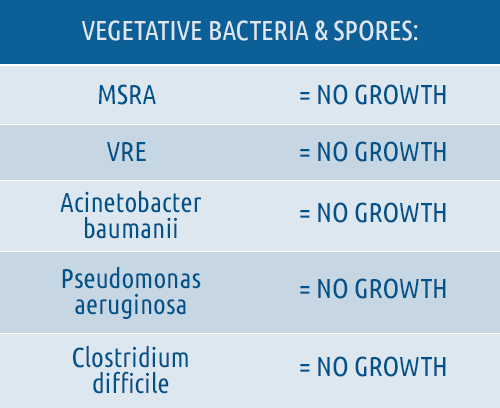 Clinically proven “No Growth” on ALL treated room surfaces for: Bacterial Spores, Viruses, & Vegetative Bacteria. Gas-like Diffusion & Performance (sub-micron aerosol). "Extremely thin film” deposition via sub-micron droplet performance. Multi Room Capable - Able to treat connected areas & rooms & around corners. Extremely large area capable (8,000+ cubic feet). Scalable with multiple machines (single point controlled). 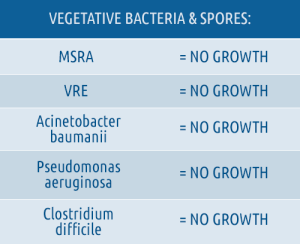 “ No Growth ” efficacy despite distance. Only 0.88 % H2O2 and 0.18 % PAA (Yes, the hydrogen peroxide is that low). Green / Environmentally friendly process. Broad material compatibility & gentle on equipment. Completely Biodegradable. (breaks down into water, oxygen, and vinegar vapor). Altapure uses a very small percentage of ingredients, unlike our competitors who use vaporized hydrogen peroxide (VHP), and apply a minimum of 35% Hydrogen Peroxide / VHP, onto surfaces in rooms, or even other competitors that try to aerosolize 7.5% Hydrogen Peroxide, which is still a very high percentage of Hydrogen Peroxide. For more information about Altapure and its process, please visit our Technology Section. 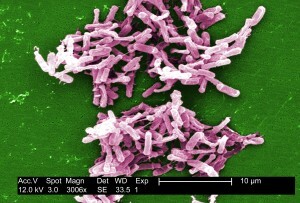 Clostridium difficile, a spore forming bacteria, has redefined the “no touch” high-level disinfection industry, as inadequate technologies continue to lose favor and drop out of the marketplace, and are replaced with better methods to prevent hospital acquired infections (HAI's). 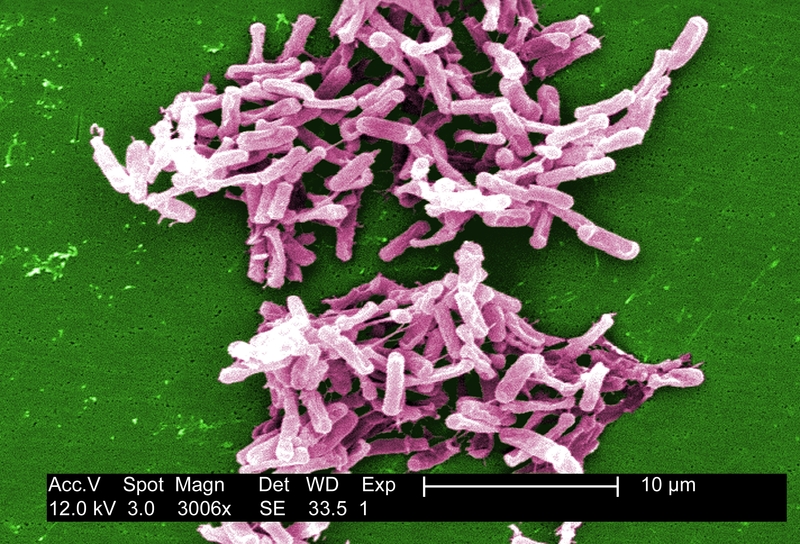 The problem with C. difficile is that patients are accidentally ingesting the spores of this bacteria while they are in hospitals, nursing homes, or other health care facilities, and at least 14,000 people a year in America alone die as a result (Source: CDC, 2013). ** This is a very serious problem. Products and technologies that are weak in their surface treatment, and FAIL TO ELIMINATE ALL OF THE SPORES in the health care setting are only putting people's lives at serious risk, and creating unwarranted confidence, for those that are relying on these technologies to save lives. 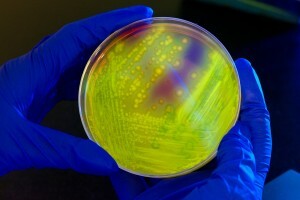 In light of the fact that many people die within 30 days of acquiring a C. difficile infection, technologies that cannot eliminate all of the C. difficile spores in the health care environment are inadequate. Furthermore, the failure to effectively challenge (placing pathogens in various locations within a room) various "disinfection" equipment, has also contributed to the myth that all no-touch disinfection technologies are equally effective. Fading power & efficacy as a function of distance. Incomplete surface coverage in treated space. Shadowing caused by objects in the room obstructing UV light (line of sight issues). Weak chemistry & weak spore kill activity. Large D-Values, if the treatment time is cut short. Absence of feedback / testing for process validation. Unlike certain treatment modalities such as UV light, Altapure can treat 3-dimensionally like a gas, and it can reach hard to see surfaces, like under a handrail or behind a door knob, where surface contamination like C. difficile spores can hide.